If you have an gmail account, you already have a Google+ account. If you think of Facebook as a Pacific Ocean, Google+ is this North Atlantic Ocean which is smaller but filled with many other kinds of fishes, prawns and giant Alaskan crabs. G+ is a social media platform where these fishes (people) join to interact with the communities they are passionate about. 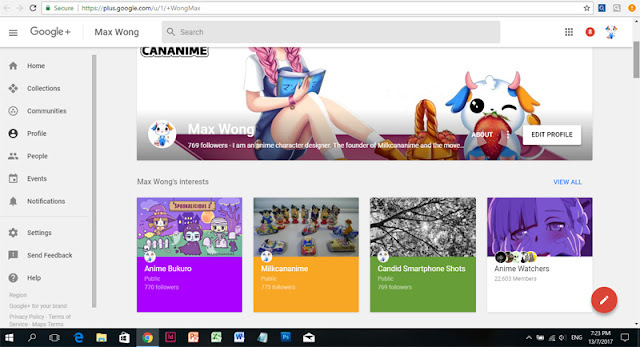 I tried posting in my Google+ profile five years ago. 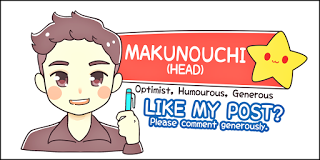 Like many people, I wanted to have as many followers as possible. Nothing wrong with that. Those huge number besides one's account is called "Vanity Metrics". And Vanity Metrics matter in Social Media. Suppose Brand A has "90,000" Likes vs a similiar Brand B having "900" Likes, which one will you likely to join? Which one will you likely to trust or buy when they post something? Back to Google+. At one stage, the followers in my account didn't move up past 150 and I practically left G+ for one whole year. 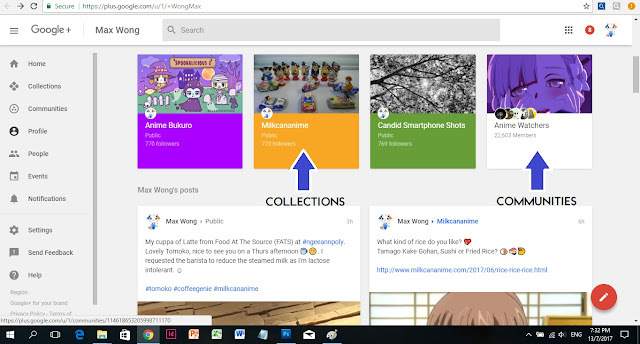 Then in 2015, G+ introduced Collections and Communities. By joining these "subgroups", my posts were much visible to many anime fans. So do not just post under "Public" tag, join a few (anime) Communities and start your own Collections. And keep posting, commenting and reshare others' posts. Passion + Persistence = Success. You need both ingredients to work! Note: COLLECTIONS - Only you can post. Others cannot. COMMUNITIES - Everyone whom are accepted can post. If you have a business, a brand or a blog, do not dismiss G+ as yet. Being a product of Google, what you post in G+ carry more weight than any other Social Media Platforms. The pictures are also indexed under Google images. How is that for SEO? No Comment to " I am in love with Google+ "